I’ve had a bit of downtime this month and been able to indulge in one of my favourite past times – reading! For the first time in a long while I am up to date with what all my favourite bloggers are up to and I have a lovely long list of blogs that I’ve newly subscribed to. I’ve also had a bit of time to do some admin on my own site and it got me thinking about some the quick ways new bloggers in particular could improve their site with little or no investment. So without further ado here are my 6 quick tips to improve your blog when you’ve got a spare 15 minutes. This is something that personally frustrates me as a reader. When I read a great blog post I naturally want to share it or load it up onto my buffer and I’ve noticed recently that a few tweet buttons I’ve pressed don’t include the author’s username. I add the username as a way of crediting the author but also for engaging with them about the fact I loved the post, so as I blogger I recommend you include it in the pre-filled tweet on your site for these reasons. There are a couple of plugins that include this feature but my favourite is Social Warfare because it comes with a few bonus features that you can read about here. I also recommend you instal a floating side bar – or make sure the buttons are at both the top and bottoms of posts – so users don’t have to scroll around looking for them. As a (nosey) reader I like to know soon after I land on a blog where the author is from and/or based. This helps me quickly identify the perspective they may be writing from as well as the topics they are likely to cover. When I wear my brand hat and am looking for bloggers to collaborate with this piece of information becomes even more important as we often look for blogger set in specific locations to go on trips/run campaigns with. Do a quick check of your home page. Have you mentioned your location anywhere? Quick, go add it in! So this is a controversial one but after writing a post on the subject last week it turns out it is not just me who gets peed off when a pop up blocks the content before I’ve finished the first sentence. Unless you are getting fantastic conversions is there a way you can maybe consider including calls to actions in the content rather than in a pop up that blocks the reading from accessing your awesome words? At the very least maybe consider adjusting the settings so it pops up when the reader goes to leave your blog rather than it being one of the first things they see when they’ve newly arrived on the page. I’ve used bloglovin‘ to keep up to date with my favourite blogs for yonks but recently I’m finding it’s where I get most of my regular traffic from too. Lately bloglovin’ have made some improvements to their feed which include being able to see what your friends are saving and liking – so if readers are liking your posts this means their friends are now seeing your content too. 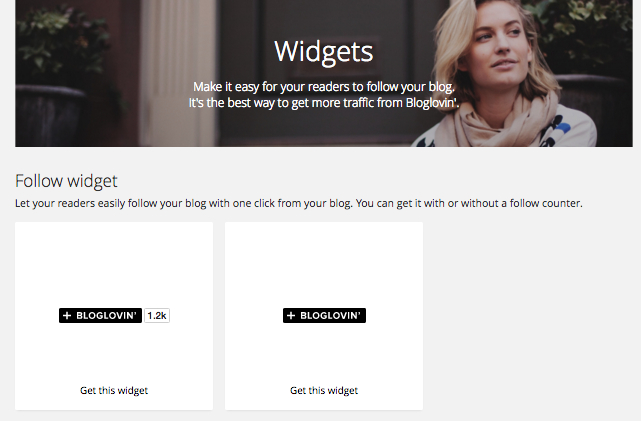 If you haven’t already done so go claim your blog on bloglovin‘ and then embed a widget on your site so readers can follow you. There are a few options to choose from that look like this. Top tip: remember to add an eye-catching featured image to each post as this is what grabs people’s attention in the bloglovin’ feed. I don’t know about you but when I discover a new blog I tend to want to know where to find the very best content. Some blogs have a ‘start here‘ page where new readers are directed to the content the author is most proud of. I love it when a blogger refers to a previous or related post in an article I’m reading because it helps me know where to head to next but I must admit it bugs me if I click that link and it takes me away from the post I’m reading. (I know I could right click and select to open in a new window but I’m lazy ok!) I personally prefer it if the blogger has kindly already set up the link to open in a new window so I have the next article ready to go in my tabs when I get to it. Add a link as usual. Click on the little cog for ‘link options’. A window will open for you to insert/edit link. Click the box that says ‘open link in new tab’. Voila! So these are my 6 quick tips to make your blog more accessible for readers. Let me know if you have any questions about this list. Previous Post Dear Bloggers, Have We Forgotten About The Readers? I agree wholeheartedly with all of these! Thank you for these tips! Such simple yet great advice! These are SO useful! I found my bounce rate really improved when I changed my links to open in a new tab. Then people don’t get aggravated by being taken away from your post mid-read! This is so good to know! I’ve always done it as it’s a personal preference for me but it’s great to hear doing so improved your stats too! It definitely is. 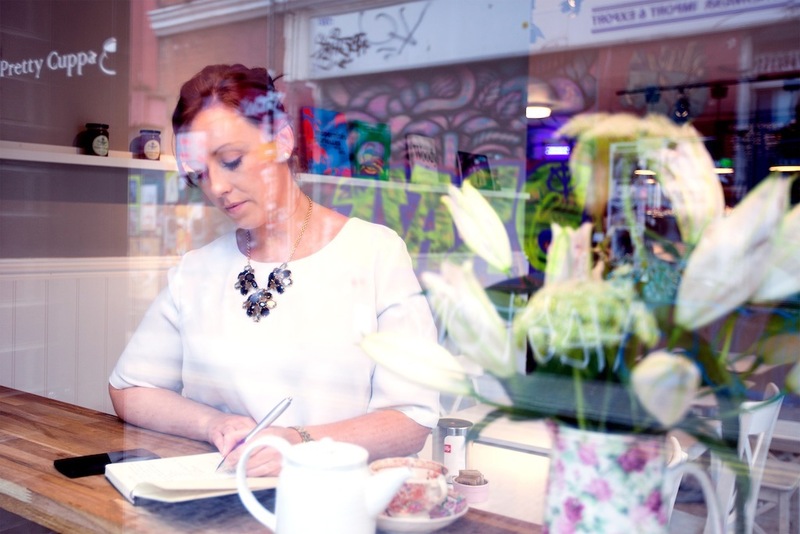 I find myself doing little blog audits every now and then just to keep up! Great post! I think I need to do some touch ups on the blog! Have a great day! Just wonder how important is Twitter for a blog? It depends – do you enjoy using Twitter? For me Twitter has been a great way of communicating with readers and as I have a lot of readers who use Twitter they often share my posts and hence I get good referral traffic from it. However, I’ve been actively using Twitter and building an organic audience on it for several years – Twitter is very time consuming and you only get out what you put in. 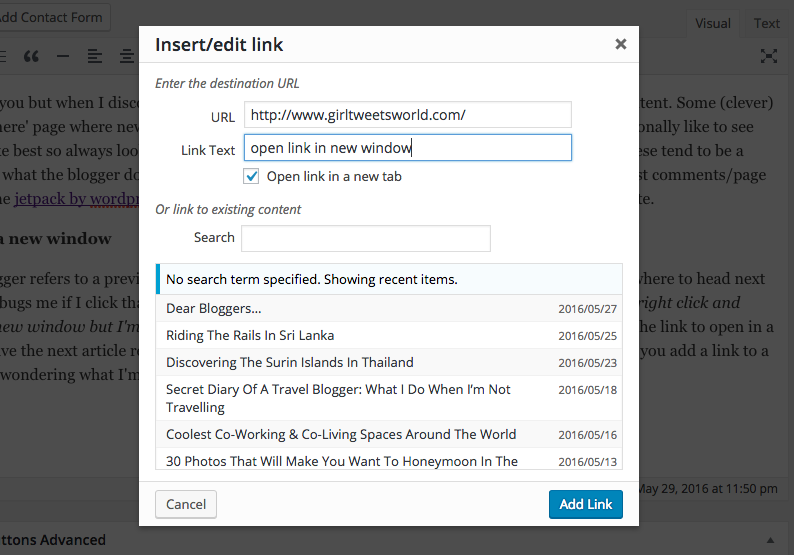 In short, it will be useful for your blog if you actively (and naturally!) use it.